Unless you have been living in a cave for the past few years I am sure you have heard of the Walking Dead; a popular comic series that has been spun off into a couple of TV Series and a few games. 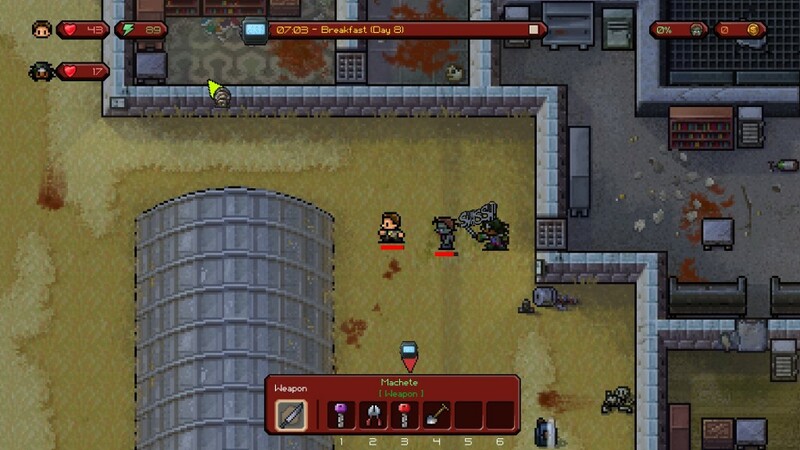 The latest entry for the series is a spin-off of the popular prison escape game, The Escapists. This you may not have heard of but to those that have played it will know that it was generally well received with critics with them praising the variety of ways in which the final objective of escaping could be reached. 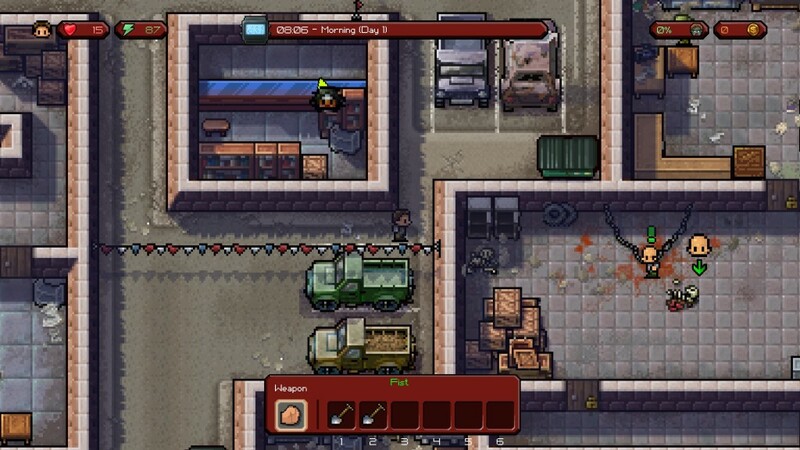 Seeing that The Escapist is about escaping from prison and The Walking Dead is mainly about escaping zombies, this spin-off it a match made in heaven. 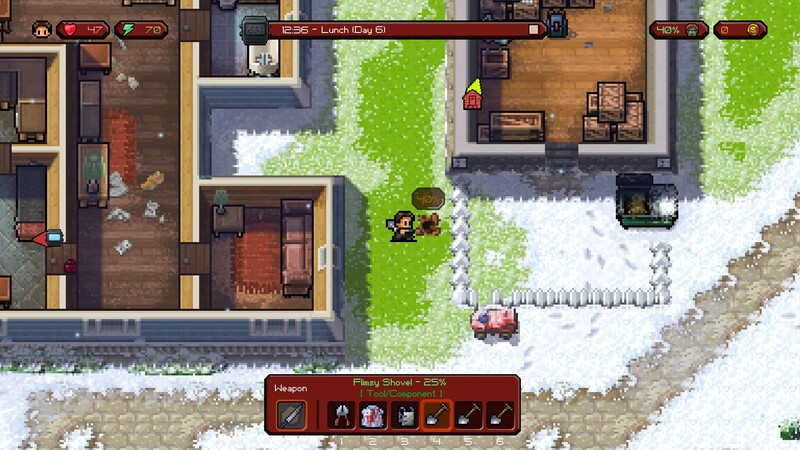 The story of The Escapists Walking Dead follows closely to the one portrayed in the comics with you starting out at the hospital, making your way to Hershal’s Farm and onwards to the prison. The objectives within the levels emulate those that happen in the comic (such as the opening of the barn at the farm) but the majority of the game play is free time away from the main story arc. A level can last as long as you need it to. The main goal of each level it to escape and this can be done in which ever way suites you best. As with the series, you are stronger in numbers so it is not all about making yourself better. You have to make sure that your crew are up to fight the zombies too – if you go in alone you will die pretty quickly. However though it is not just a case of sorting yourselves out and going up against the zombie horde. Your day is ruled by certain times – at the start of the day there is the head count followed by breakfast and then you must complete chores around the level. You may think that you can skip all these events but if you do so then the threat of the zombie will increase thus causing the chance of you being attacked to rise. This you do not want as once zombies are in you safe area, carrying out daily tasks become a lot harder. Items can be picked up around the levels and a lot of them can be used as a weapon as they are but the best items can only be crafted. You are introduced to this very early on in the game when you have to craft a medical kit but as you explore the levels you will pick up various crafting instructions that will give you access to new items. Crafting is something that you must learn and abuse to survive. I will guarantee that the majority of your time playing will involve you trying to find that one item which will make your life a lot easier but it will be worth it. A lot of items can be found within the safe area of the level but there is a lot of land that can be explored outside this area – this is where you will find the better items for your escape. Another way to acquire items it to buy them from certain points. The current used is just coins and these can be earned by completing various side quests for your fellow survivors. The quests will vary from killing certain zombies to basic fetch quests. 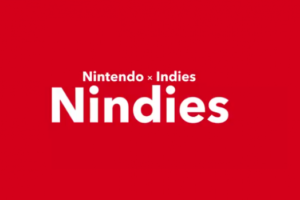 However small the quest though, it will be worth completing as the items you buy will no doubt be something that will make you escape a little easier. So my tip is not to ignore the, but to try to complete as many as possible. With there being numerous ways of planning your escape you could say that this game is all about trial & error and I have to agree. It did take me numerous attempts at escaping through the barn as I kept being either swarmed by zombies or letting them into the safe area with them picking my crew off one at a time. I honestly can say I was not having much fun but I was learning a lot as I failed. This is the issue with The Escapist being a very Trial & Error game – there are a lot of different elements to learn and the only way is to try them out and see if it works for you. I found that elements in the game get quickly shown to you but not really explained. For example, tunnelling. You get introduced to this within the first level (that is a simple tutorial) so you get pointed to where you need to tunnel. In the main levels, there is not pointer showing where you can tunnel so you have to go so you only option is to try it in an area and see if it works – this sort of learning curve may infuriate some players. If your first approach at an escape does not work, find your feet again and try a different approach. Like I said, the level will only be as long as you need it to be. In my final run on the first level, I trained up my strength and intelligence, armed my three followers with good weapons and just attacked the zombies in the barn one at a time. It worked! I managed to get through the barn and escape the level. It may have taken me a few hours in previous attempts but my final run only took me about 30 minutes. 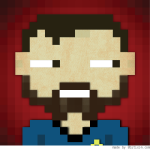 Visually, The Escapist Walking Dead is presented in a pixel style. The world is pixellated and the characters are too. It is an art style that is very popular at the moment but the level of detail that has been created with this style here is amazing. The colours used are bold and manage to portray the devastation of the zombie apocalypse perfectly. 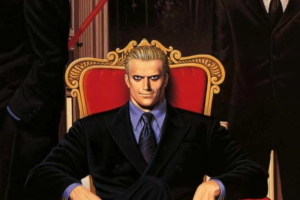 The cut scenes that help the story flow are presented in the style of a black & white comic that too is pixellated. 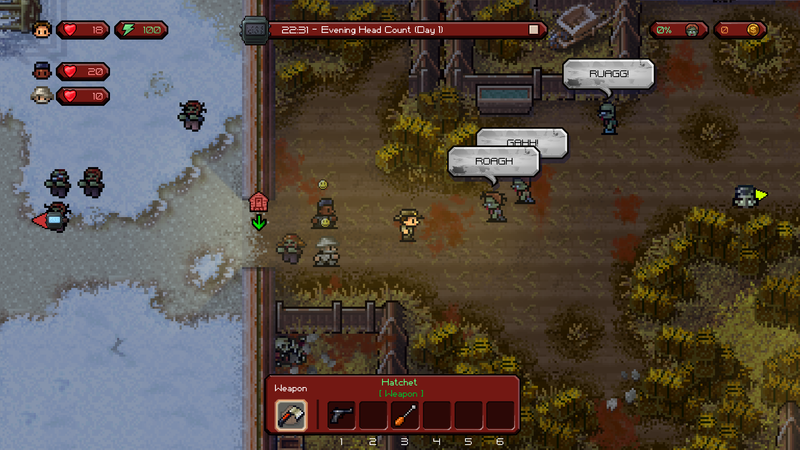 The Escapist Walking Dead only has five levels but it is a case of quality over quantity. There are so many ways in which you can plan an escape that you will keep coming back for more. I think that carrying out the daily tasks is a feature that it could live without as I think it slows the flow of the game down but it is what gives the game order. Other than that this is a true sandbox version of the events that take place in The Walking Dead. It does contain a lot of trial & error and I understand that this will put a lot of people off from the game but for those that enjoy this approach you will find there is a lot of fun to have here. Also it has zombies in it; what more do you need?